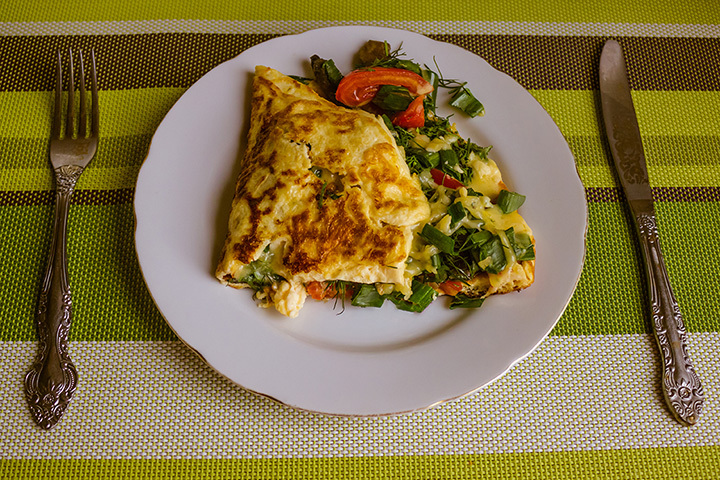 Omelets are the perfect breakfast: A combination of eggs, meat, cheese and vegetables. This delicious day-starter is a classic French dish, which has been Americanized and woven into the culinary scene of states all over the country. Oklahoma is serving up some of the best so if you’re seeking some great places to get a hearty omelet, look no further. Here are the 10 best places to get one in Oklahoma! Stuff’ns is a local favorite that does breakfast right. The omelets are traditional and well-executed, and the staff is always friendly and quick with the coffee. Café Kacao is known for its Latin American-style breakfasts, and the omelets are some of the best in the city. The Cobanero Omelette is filled with carne asada, pico de gallo and covered in a pepper sauce. What could be better than the flavors of a taco with your eggs? Jimmy’s Egg is probably the quintessential breakfast place in Oklahoma, but their omelets put them on the map. Craft your own or try one of their flavor combinations. The Baja Omelette or the Florentine Omelette are excellent choices. Wee Too is the go-to place in Enid, at least according to one retired Air Force serviceman who’s lived in Enid for many years. The Garbage Omelet is filled with three different kinds of meat, cheese, onions, green peppers and tomatoes. It’s a wonderful way to start your morning, but you might not be hungry again until dinner. Eat your way around the country, starting with the Boston Omelet, then the Cincinnati Omelet followed by the Denver Omelet. Each combination is filled with high quality ingredients designed to keep you coming back. One of the nice things about Eggington’s is that it serves traditional omelets and frittatas, kind of an open omelet. Make your own or choose one of their creations. The staff is always friendly and quick. Breakfast is served until 11 a.m., and you’ll want to get up early to make sure you have time to enjoy your meal. Try the peaches and cream omelet for a sweet treat with plenty of protein to get your day off to a great start. Weeze’s is known for having a great lunch menu, but it’s omelets are really good. Kick up the flavor by adding jalapeno to your omelet. El Reno might be the onion burger capital of Oklahoma, but it has some great diners that serve up a nice omelet. Sid’s has the regular omelet fare and does a nice job. The Runway Café has some great selections when it comes to omelets, and you can watch small planes take off and land. The omelets are filling and served up with a smile.